After perusing the Wok Wok menu, both while ordering and later at home, it’s easy to suspect this story will be doing the place something of an injustice. 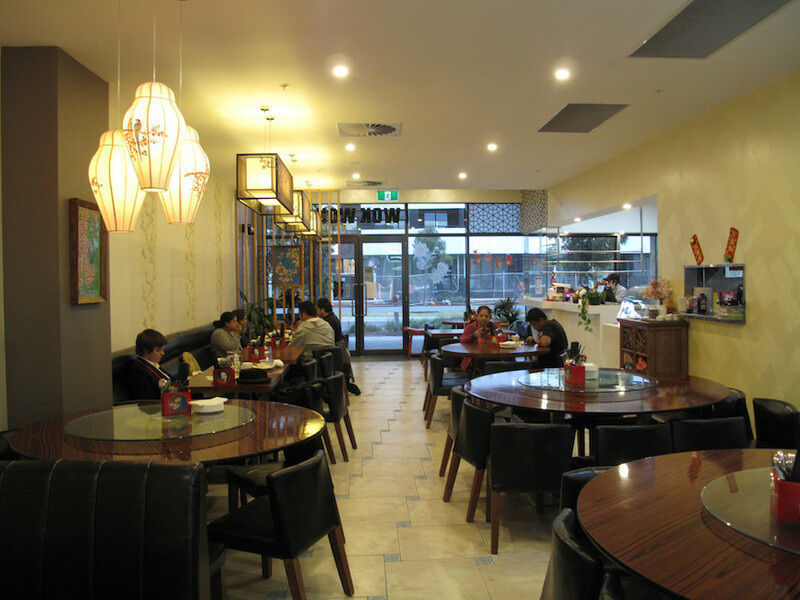 So packed is the menu with wonderful Chinese food – especially of the seafood variety – that we suspect it most likely offers one of the really spectacular options for Chinese food in the western suburbs. But when we visit, that’s not the path we take. It’s after school; we have a 6pm appointment in Point Cook; we have time to kill; we are hungry. 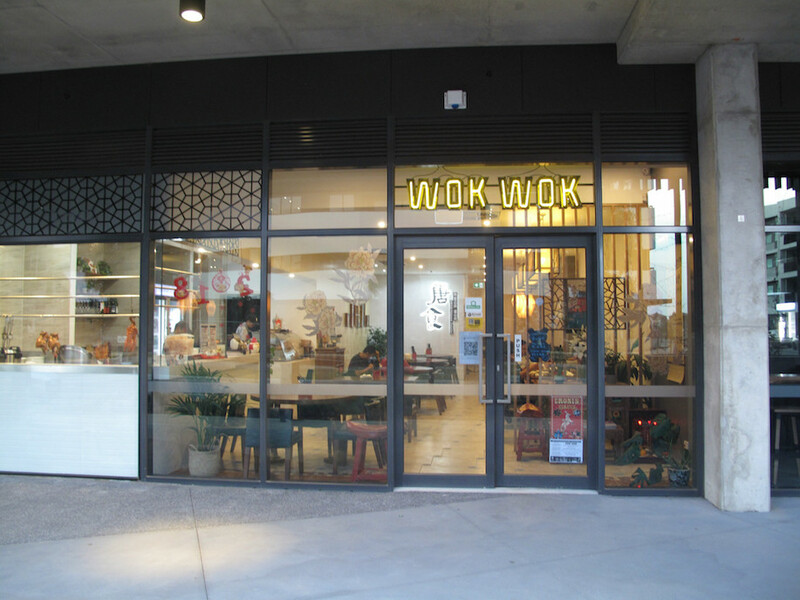 And Wok Wok is open. So we resort to our cheap ‘n’ cheerful default setting in such settings – the roast meats. But, hey, that works just fine, too. Because what better way to assess a Chinese place than its house-made BBQ birds of various kinds? And, golly, what a fine time we have. 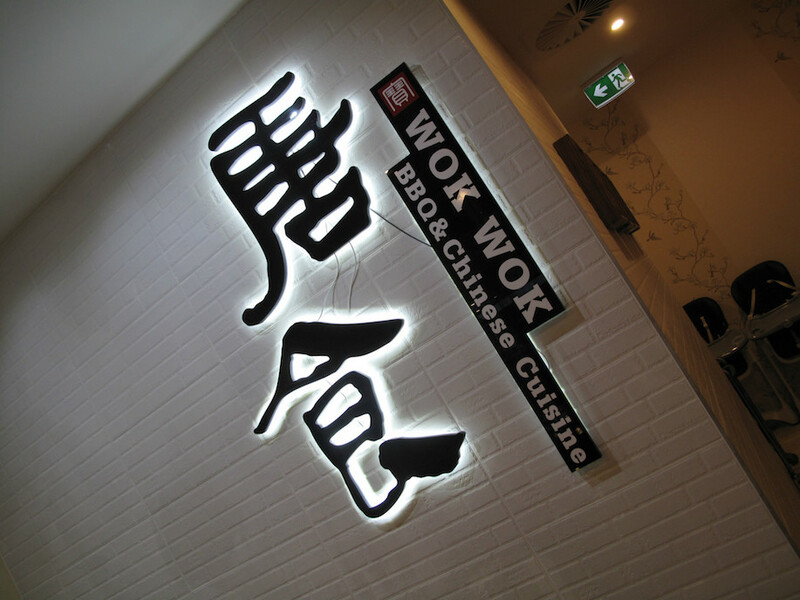 I doubt Wok Wok is a real-deal serious yum cha place, but there is a nice list of dumplings and “others”. 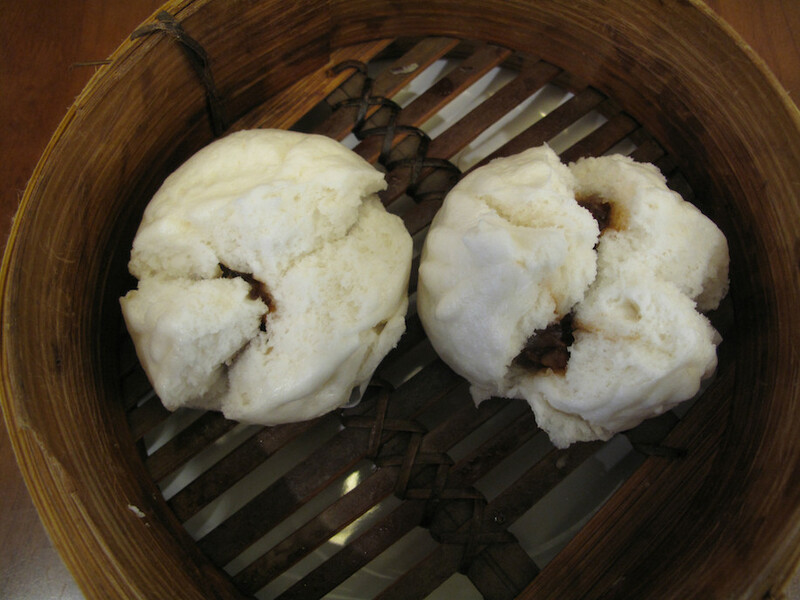 So as we really are hungry, we are happy to start with one of Bennie’ faves – a pair of steamed BBQ pork buns ($7). They are hot and fresh, with a good and sticky filling. Though even this good they will always be more favoured by son rather than father. We take different yet overlapping routes to our consumption of the roast meats. Bennie takes the two BBQ combination soup noodle ($14.50) pathway. 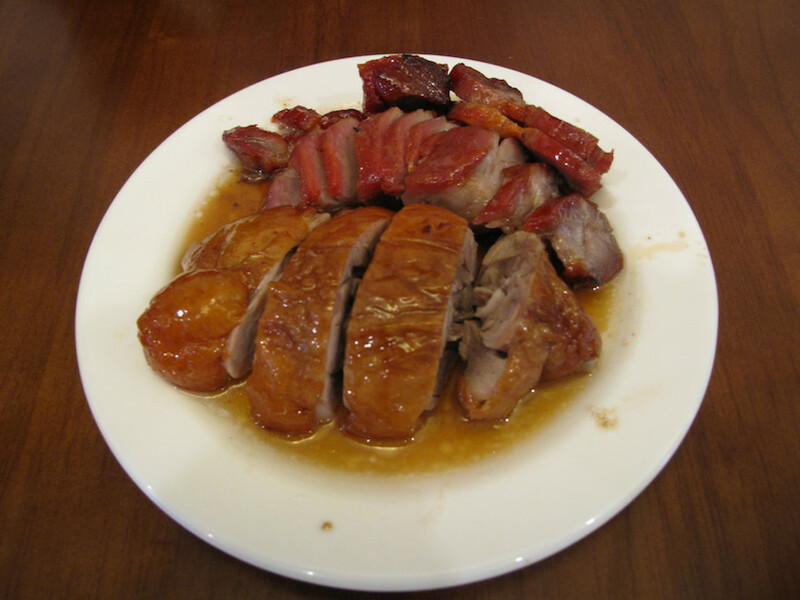 With it come his selections – roast duck and BBQ pork. 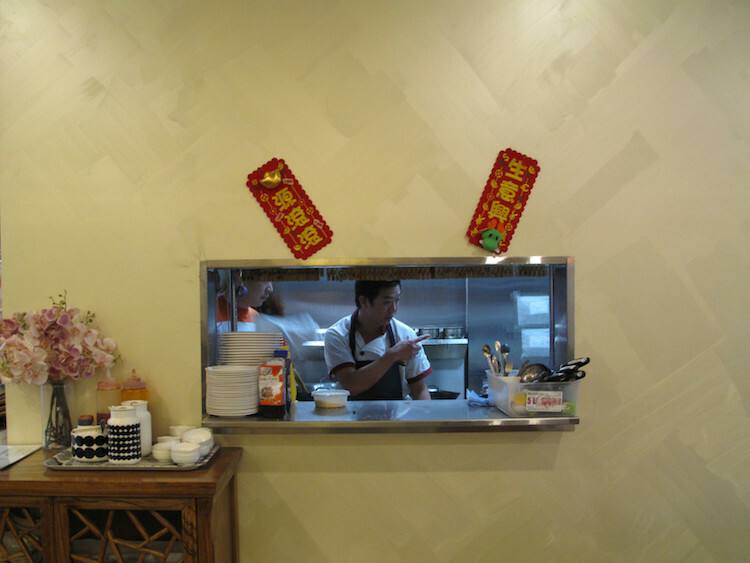 His dad, too, goes the double combination – BBQ pork and soya chicken – but this time with rice ($14.50). I get a side bowl of chicken broth on request. The chicken broth/soup broth is hot, tasty, a bit salty (we like it like that) and peppery. There’s good bok choy on hand to make us feel we’re covering the veg department despite eating sinful food. And – most importantly – the meats are excellent. The BBQ pork is a tad tough and chewy, but not enough to be a problem. Wok Wok is handily located and appears to be on the ball.